Afternoon Fix - Week 17: "Coffee" - This week's theme is a very strong subject for me. I push myself hard every day, and regular infusions of caffeine are a welcome and part of my daily routine. 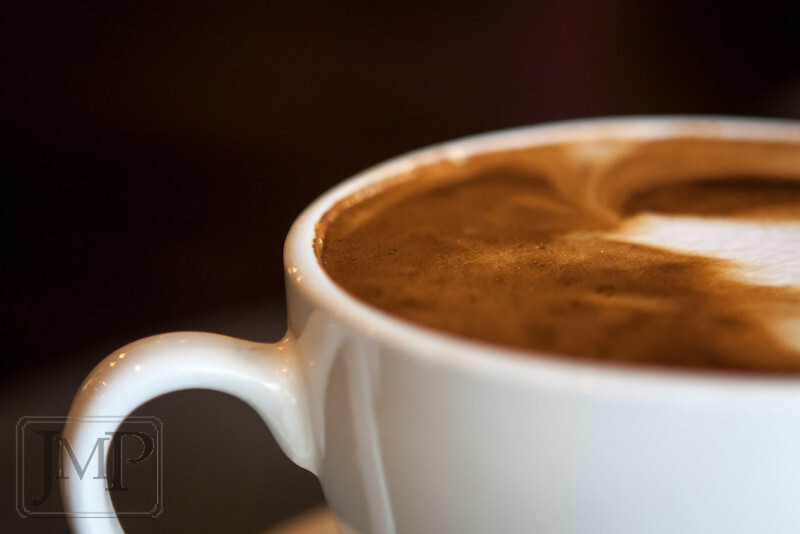 For this week's photo I headed over to my favorite independent coffee house for a fresh hot latte and proceeded to shoot my mug as inconspicuously as possible. Well, I don't think anyone in the shop didn't notice me photographing my drink, but I did manage to take a variety of compositions without including any other patrons in the photos. I even got to drink most of it before the comforting warmth contained therein succumbed to air of this cool spring day. I shot this image at f/2.8 at close range to create the shallow DoF, bringing the focus to just the handle and a sliver of the foamy goodness floating on top.